Free camping sites are one of the best and most efficient ways of keeping costs down whilst you are on the road. You can literally save hundreds of dollars a week, and they are easy peasy to find using the WikiCamps Australia App, and free camping in Australia is very safe, but it is best to camp with others - safety in numbers as the saying goes. 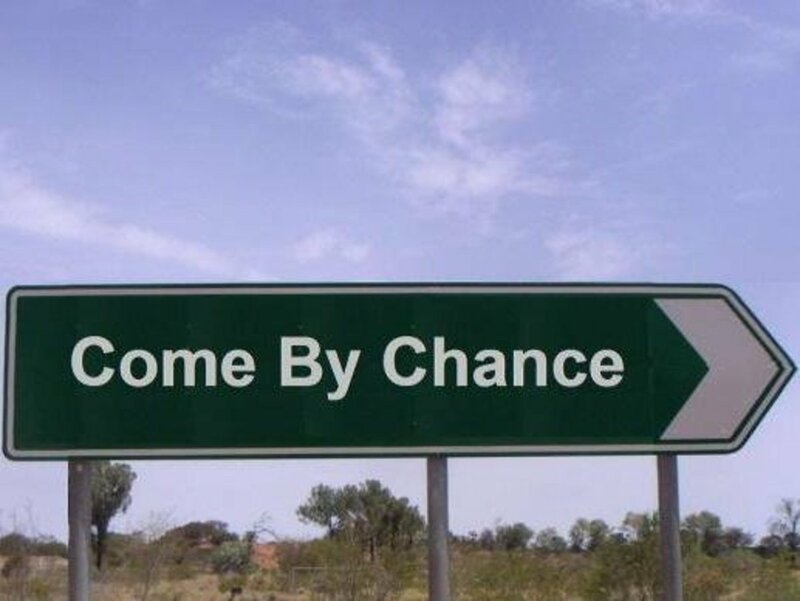 We have a rule when free camping around Australia and that is: If there are no other campers in the vicinity by 4pm, then we move on to the next free camp before night fall. I think it's a good rule to follow to keep yourself safe, especially if you are travelling on your own. 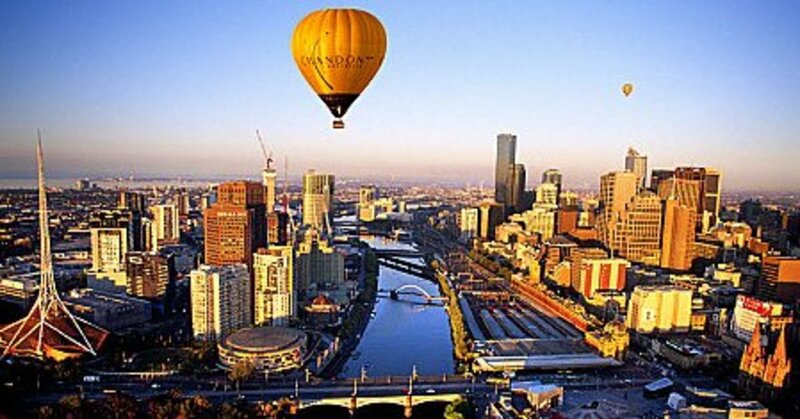 Another one of the better resources available is the series of camps Australia wide directories. There are also numerous apps available to download onto your phone which is an excellent way to search for somewhere to stay each night, provided you are able to keep your phone charged! For what it's worth, the app I like best is WikiCamps Australia. It's easy to use and users can leave pics and comments which keeps it all up to date. As you probably already know, being outdoors has a great deal to offer. For starters you can reconnect with nature which I believe is intrinsically important to human beings. Placing the soles of your feet on mother earth, looking around at the immense beauty before you, walking with the waves splashing around your knees, smelling the clean fresh air, feeling the sun on your skin, and being absorbed in the quietness of it all, is something to be cherished. So I would encourage you, if you have never been camping before to learn a little about it, and give it red hot go! It is one of the least expensive ways to have a holiday. All you really need is a tent, a few personal belongings like clothes and toothbrush, a bit of easy to prepare food, and some cooking gear. Tents are relatively cheap and great for camping - you can pick one up for less than $50 at camping stores, or if you are travelling with children, you might prefer to get a larger model with two or even three rooms. 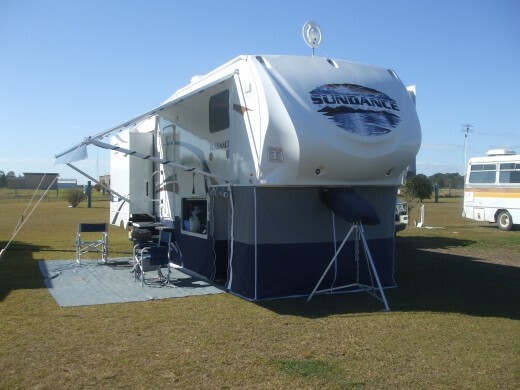 Tents are also a great option for a working holiday in Australia. The total cost for camping gear to get you started need not be more than a couple of hundred dollars. Now that’s a cheap holiday and a FUN one as well! If you think camping in a tent isn’t quite your style, perhaps you might prefer to see Australia at a more comfortable level in a caravan. I can personally recommend the lifestyle after having spent nearly 2 years caravanning around Australia. 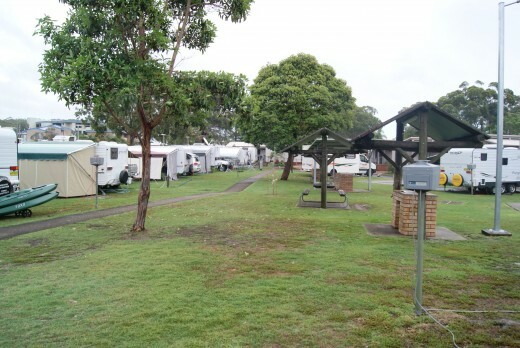 Both of these caravan park chains offer membership which will guarantee a discount whenever you stay at one of their parks throughout the country. There are also RV Friendly towns that encourage the travelling public to come and visit by offering free or cheap amenities. A town must meet a range of criteria before being accredited RV Friendly status. You can pick up a caravan anywhere around Australia for as little as $5000 or up to around $100,000 for some of the luxury 5 star models. 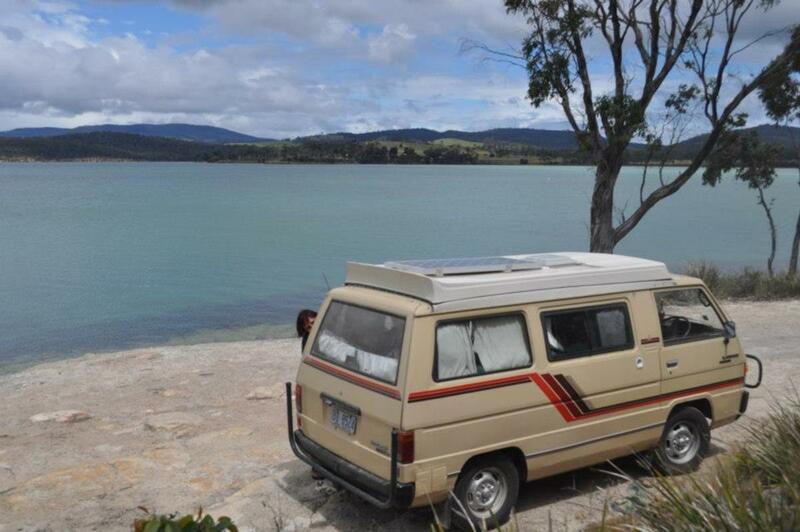 We opted for a mid range model and purchased our Adria Adiva from the Sydney Caravan and Camping Show in 2009. Buying from the show will save you bucket loads of money, simply because the exhibitors have shelled out huge dollars to get their products in front of a willing audience. 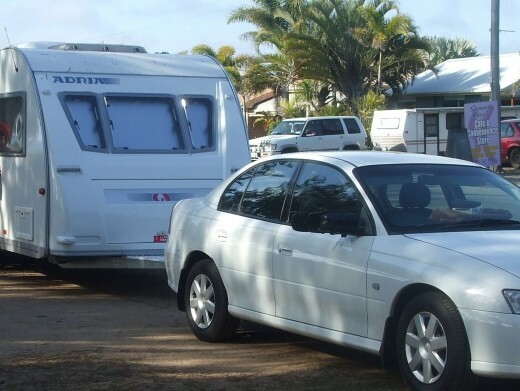 I later spoke to one particular caravan manufacturer who refused to go to the big shows as it would cost him over $40,000 and a week or two away from his business premises. So knowing that the exhibitors have expended that amount of money, you would think that they would be super keen to make as many sales as they can – and believe me they are super keen! Have you ever been camping, caravnning or RVing? There are some magnificent RV’s in Australia which are totally self contained which makes them excellent for free camping. They range from mid-size motor homes, through to converted buses (some are double deckers), to Australian made 5th Wheelers, to the big Winebagos and fully imported 5th Wheelers from the U.S. 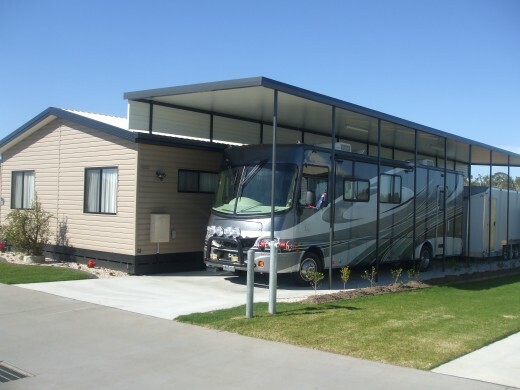 The imported RV’s all have to be converted to comply with Australian standards. For example the electrics must be upgraded, and their must be at least one entry door on the left hand side of the vehicle, so that you can enter from the kerb side. 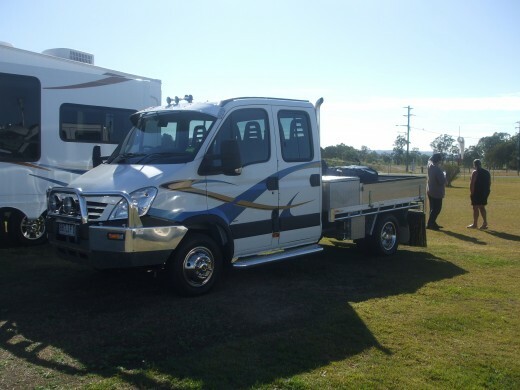 The sheer size and weight of the fully imported 5th Wheelers has proven somewhat of a problem in as much as Australia has been limited in recent years to the type of vehicle able to tow them. A Ford F250 was pretty much the only choice in the early days, until recently when more large pickup trucks have also been imported from the U.S. to give people more choice in regards to a tow vehicle. Dodge and Chevrolet are two of the most popular imports. Sundance 5th Wheeler. Free camping luxury. Do you go free camping? Our family loves free camping, we go every chance we get. I would never go free camping it's way too dangerous. I would rather stay in a caravan park. Hobart is a jewel in the crown of Tasmanias pristine wilderness. Hi aboutaustralia, You have some great information here which should help the newbie. And thanks for answering my question about travel. I have also done a bit of traveling around Australia and seeing the country that we live in now instead of other countries. We are so lucky I live in Western Australia and am very proud of our beautiful White beaches that no one else in Australia appears to have. I love traveling. We went right around in o8-09 and over east last year and we are heading east later this week for a few months. It is a shame that more towns do not do more for the travelers instead of ripping them off. Thanks again good article and happy traveling. Hi Caravandrifter, Yes I did, looks great and I just joined up. Looking forward to having a good look around your website. Thanks, safe travels, Sharon T.
Have you had a look at my oztrekkin.com.au website? aboutaustralia, My husband and I love to RV it's our life. I am so happy to meet others like who enloy it also. Thanks so much travelespresso, we just love travelling around Australia. Just can't get enough of it! Have you been to Australia? 7 years ago from Somewhere in this exciting world. Great article and what a life you are leading! The new RV's are amazing. Thanks for sharing.